Located in the Ozarks of Southwest Missouri, the Sho Me state. We spend most of our time running Cole Equine Inc., our Veterinary practice of 40 years, but find time for grandkids, showing and roping on our Ranch Horses, and playing with our Longhorns. We have always strived to develop the all around type of individual in our horse program. 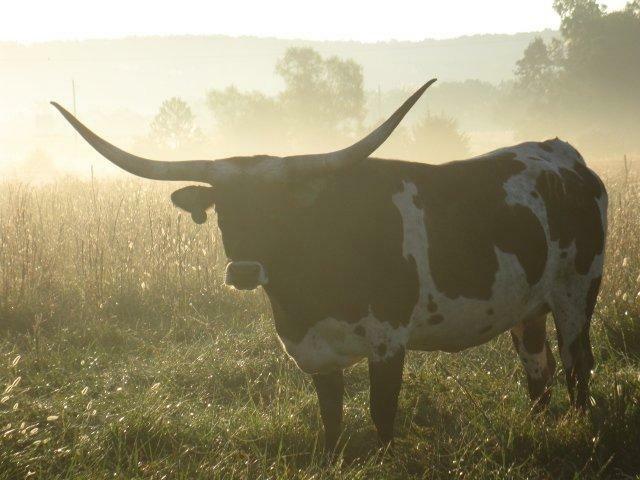 These traits of ideal conformation, gentle attitudes, superior genetics and overall excellence have carried over to our cattle Program, focusing on the complete Longhorn individual. We are new to the Longhorn world but are amazed with these cattle and the longhorn people!